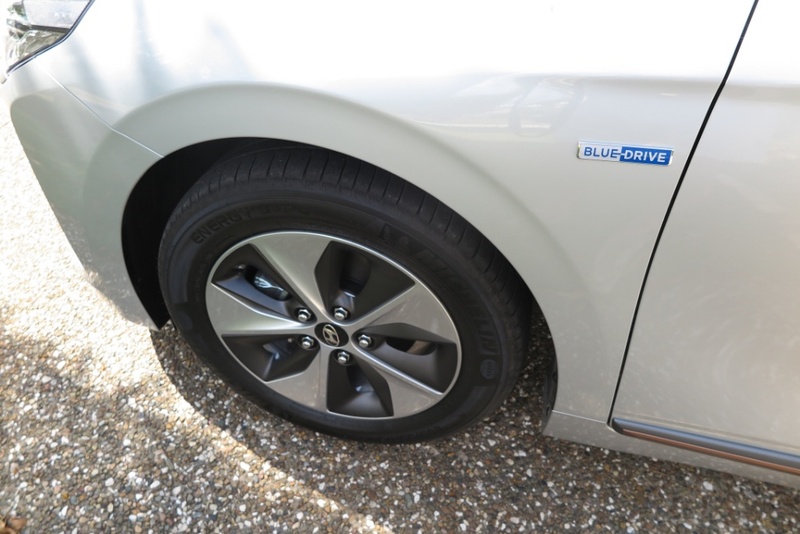 drivingandlife: HYUNDAI ICONIQ - AN EVERYMAN EV? 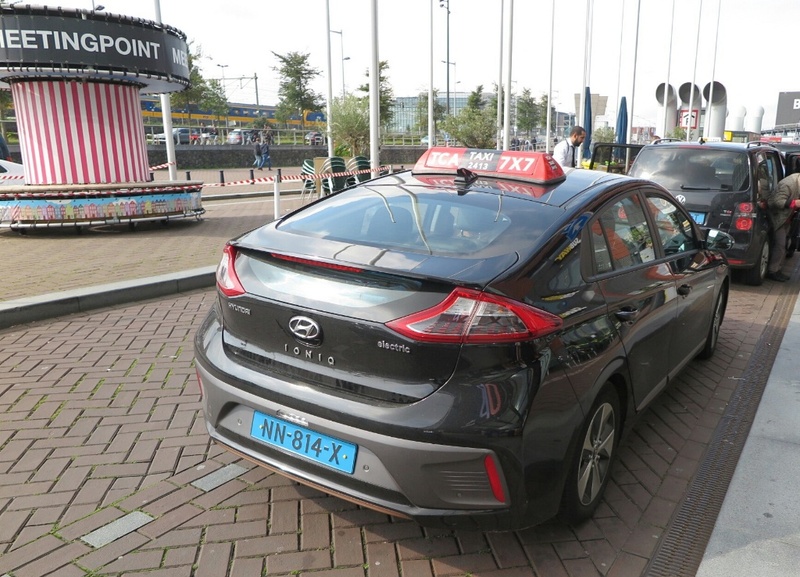 My first exposure to Hyundai’s all-electric Iconiq was in Amsterdam in September 2017. 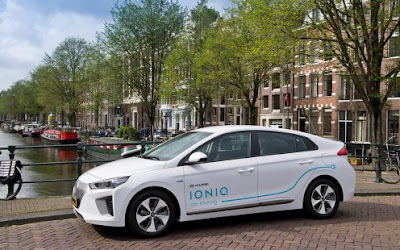 Hyundai’s new EV has established a major beachhead for the product in the Netherlands, and whilst EV taxis in Australia are most likely to be Toyota Prius – the Dutch have really taken a liking to the Iconiq. Sure there is a major government subsidy as an incentive to buy one, and further tax breaks if they are used for taxi work, but the Netherlands does not rely solely on coal for its electricity grid, so for Amsterdammers, it really is a ‘green choice’. Just launched in Australia, the pure BEV ( Battery Electric Vehicle) costs close to AUD$50 grand, which is a big hit to the pocket, but after a few days driving, it really is the most user-friendly and affordable EV I’ve driven. It takes no learning curve, and whilst the performance is not in the same league as Jaguar’s i-Pace or the Tesla Model S, it’s more than acceptable. 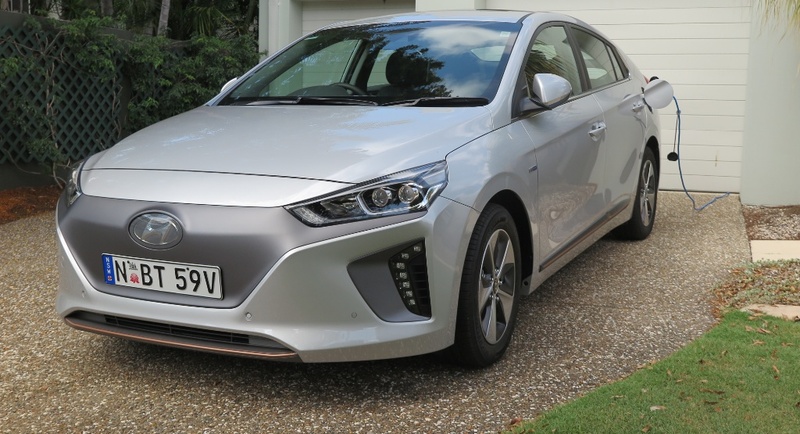 The interior is a bit dour, in terms of style and design, but we must remember that Hyundai got this car to market very quickly, in order to establish the Iconiq as a viable EV contender. It drives well, providing you turn off ALL the intrusive technology before you start a journey. I hate that stuff! Using the platform and running gear of the (FD) i30/Kia Niro, Hyundai declined to spend big on the interior. Wait until the Kona EV comes along next year and I’m sure that will be a much more attractive proposition. 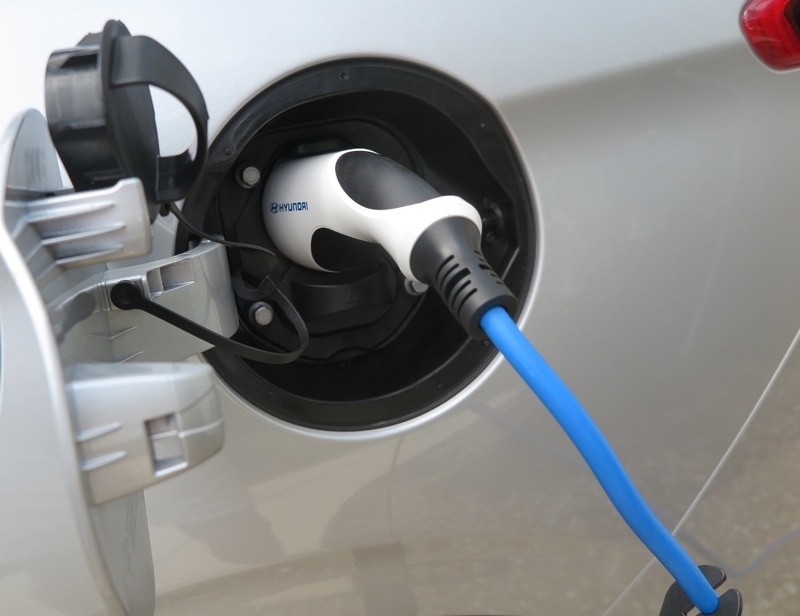 I must admit to feeling a bit sensitive to ‘range anxiety’ as the fully-charged potential is only 230km, and if you use the 10amp ‘Home Charging kit’ which comes with the car, it’s 12 hours for a full charge. 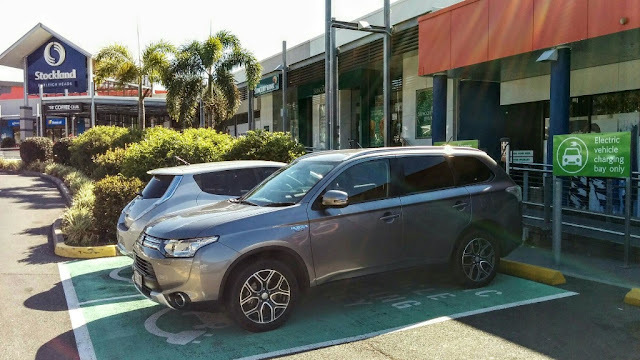 A trip from the Gold Coast to Brisbane is about 70km, but there are a number of charging points along the route, so I guess you could top up if you’re nervous about making your destination. That is, only if you have an account with Chargepoint. Right now, the most popular locations for fast charging stations seem to be in selected shopping malls. In fact the Queensland State Government has been impressively proactive by initiating the setting up a string of charging points on the Bruce Highway, reaching all the way from the Gold Coast to Townsville. Now, we come to the part that send shivers up and down the spine of EV owners, the world over. That is 'Range Anxiety' and 'Charging' your car. There are two shopping malls close to my home, both with charging stations installed by Chargepoint. No-one at either Mall knows how the charging process works; they are no help to first-time users, and after spending a total of 90 minutes driving from my home, wasting time attempting to 'start' a charging session, and failing, I returned home, and reconnected to the painfully slow house circuit 10AMP current flow, bumping up charges on my personal electricity account. When you're driving an EV it is truly alarming to see your potential range dropping every kilometre you travel. Will I make it to where I'm going? That's the question on the lips of every EV owner. Generally, we Australians tend to travel longer average distances than countries in Europe where trip distances are shorter. Somewhere along the way EVs may make sense, but not right now. ADDED NOTE: Coincidentally, in this weekend's THE AUSTRALIAN WEEKEND MAGAZINE, Jeremy Clarkson reports on driving the new Jaguar i-Pace, and whilst the review is almost 100% favourable, he also notes the concern about 'range anxiety' during his own test. He loaded up his test car in London, with four passengers and luggage and took off to his farm, 110km up country. The i-Pace is supposed to have a range of 480km, but when he began the trip, the range-ometer said there was 190km available before a recharge. However as he drove along the M40, quote: "The range began to tumble like the altimeter in a crashing airplane. Then there was a car crash, two cars, six fire engines, long queues. Down came the readout, and by the time we reached our destination red lights were flashing. I made it home with 22 units remaining, thanks to running everything in Eco mode. I got home, plugged in the i-Pace to recharge and 'puff' all the lights went out!" "I took it to a friend's vacant house to recharge overnight, and when I turned up next morning there were a mere 47 km available - pathetic. I took my Range Rover back to London!"